SAVIANA STANESCU - Poetry Saviana reads from her new book GOOGLE ME! 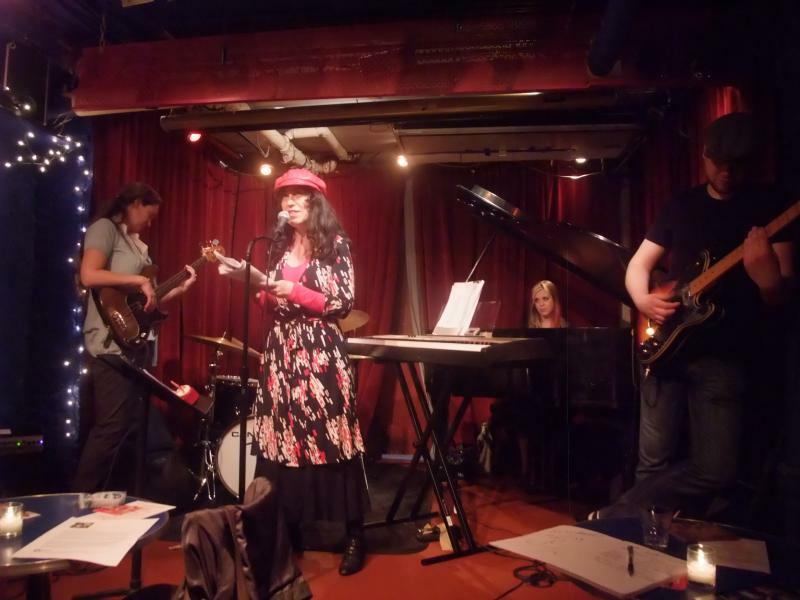 Cornelia Street Cafe, Bowery Poetry Club, KGB Bar, Nuyorican Poets CafeSTAY TUNED FOR FUTURE READINGS in New York venues and beyond!!! Saviana reads from her new book GOOGLE ME! STAY TUNED FOR FUTURE READINGS in New York venues and beyond!!! Google is my proof that I exist. I think therefore I am? That’s why I really needed to move into the English language. And what I am doing on this noisy earth. You need a passport. You need a visa. Wherever you want. On our website. So why do I need to move at all? I’ve got a laptop a DVD player an American dishwasher. I’ll just stay here in my small Romanian apartment. Where did I put my passport? Here. BOOK Saviana for a reading! DO IT NOW! Listen to Saviana reading poems from her new book GOOGLE ME! YOU CAN DOWNLOAD the book "GOOGLE ME"
Saviana's recent readings at the BOWERY POETRY CLUB (with Ugly Ducking Press' Eastern European Poets Series) and the RUSSIAN SAMOVAR during the AWP Conference in New York. Saviana's poetry has appeared in many English-language journals including Talisman, Poetry London, Metamorphoses, Exquisite Corps, Pen Club Magazine, The Temple, Watchword, Absinthe, The Saint Ann’s Review, etc. She toured UK with poetry readings (Bath Literature Festival, Cambridge, Dylan Thomas Center – Swansea, Salisbury, London).